Mark it for all time: August 5, 2013, a date which will live in North American sports infamy. 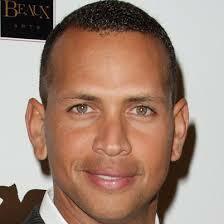 Thirty-eight-year-old Alex Rodriguez has been suspended a whopping 211 games for allegedly using PED. But he is playing and earning his salary anyway. In the words of Liberace, who faced his own lawsuit challenges, A-Rod is crying all the way to the bank. We have already detailed the bizarre FedEx mis-delivery of blood (or urine?) samples of Ryan Braun, one of the newer talents in the game. Braun finally has taken his suspension of 65 games, and issued last month, like a man. The others, both brand names and lesser talents, were handed 50-game suspensions. Only Alex Rodriguez, tonight in Chicago playing his opening day of the 2013 season, has filed an appeal, backed by the Players Association under standard-arbitration rules, to run out the season-clock. Alex is taking a chance that he will not be injured. Suspended players on the DL have those games that they miss count toward their respective detentions. One can assume A-Rod mostly seeks to postpone the inevitable due to his present age. After 211 games away from The Game, he would be forty-years old. PED is one of those nefarious, textbook euphemisms in circulation today, like “ethnic cleansing.” That one sounds so…germ-free, doesn’t it? What could be wrong with performance-enhancement? Doesn’t medication improve health? For decades, MLB, all of it, from the Commissioner to the Players Association to the coaches and probably even down to the medical staff, has buried their/its Lernaean Hydra heads. This entry was posted in Baseball, Right Off the Bat Website and tagged Alex Rodriguez, Bud Selig, Major League Baseball, Major League Baseball Players Association, Ryan Braun, Steroids. Bookmark the permalink.